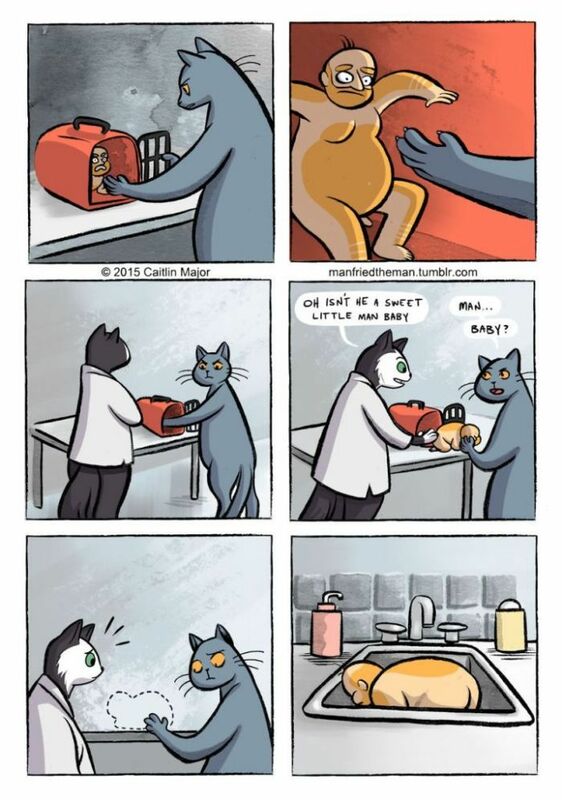 Have you ever wondered what life would be like if you and your beloved feline switched life roles? 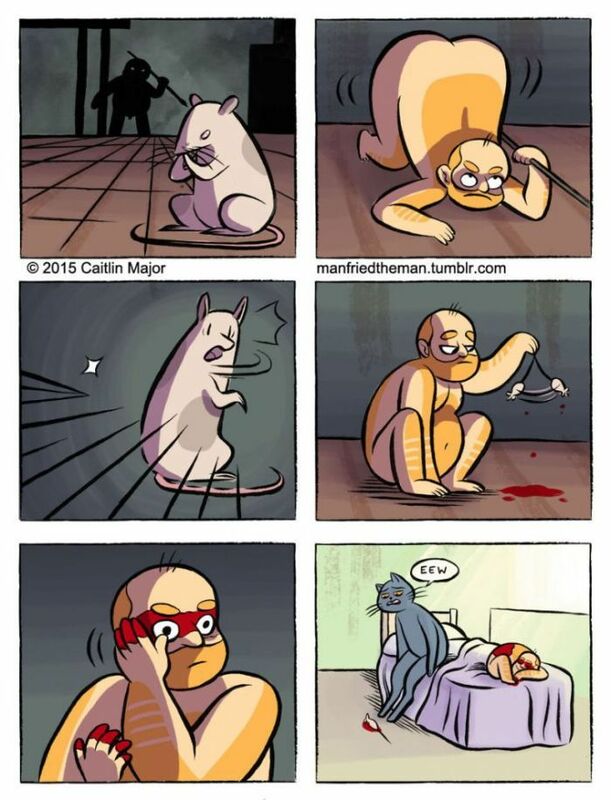 Well, illustrator Caitlin Major has put our bizarre late-night pondering into an artistic format for all to enjoy and trust me... you're going to enjoy this. 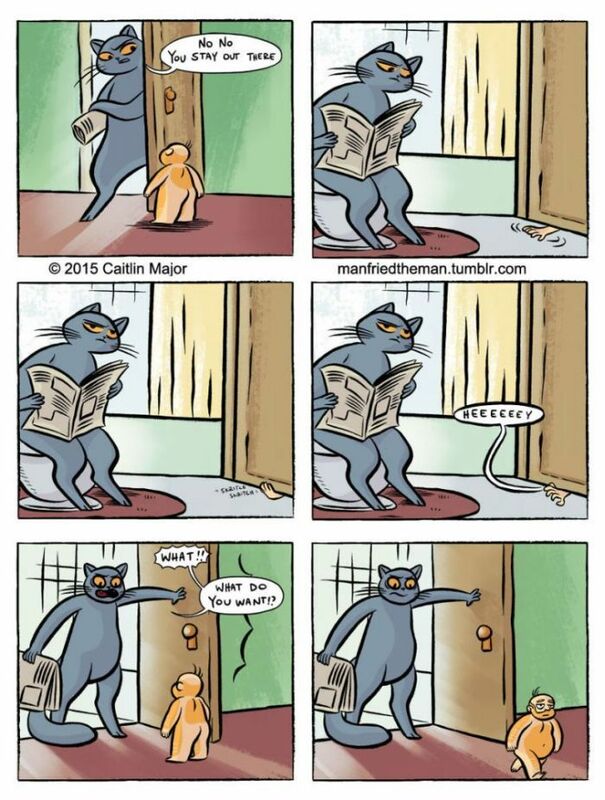 In her hilarious comic series "Manfried the Man," Caitlin depicts everyday scenarios between cats and humans with a twist: the human is in the cat's place and the cat in the human's place. The comics are absolutely hysterical and frequently leave you nodding your head through tears of laughter. "Ah yes, this IS exactly what it would be like if I was the kitty." 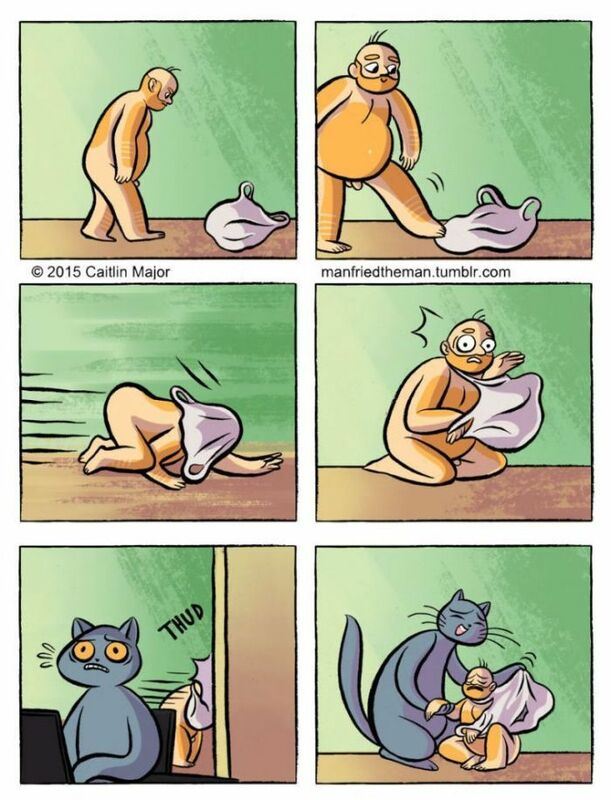 OK, humans and cats probably have similar experiences as it is with stuff like catnip. I bet Manfried packs one heck of a punch. Similar to a floof nope. 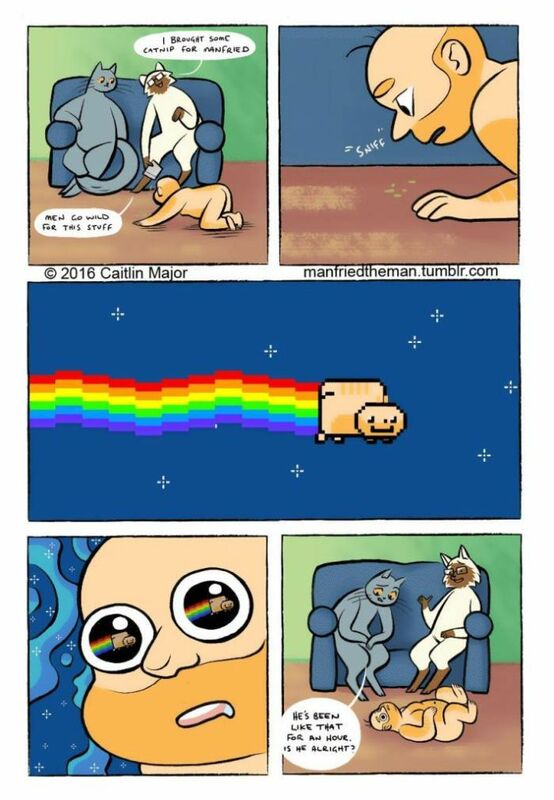 Any good cat would learn that quickly. 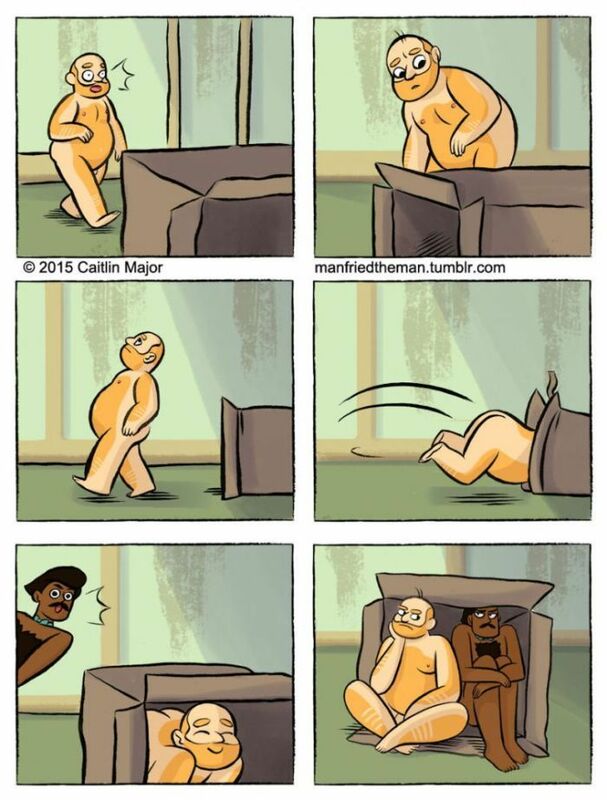 Conveniently sounds similar to hide and seek. But not always a happy place to share. If it's not a cat fight is it a man fight? 10. Don't tell me you didn't laugh at this. I don't think I've ever laughed harder in my life. 11. The accuracy is strong with this one. 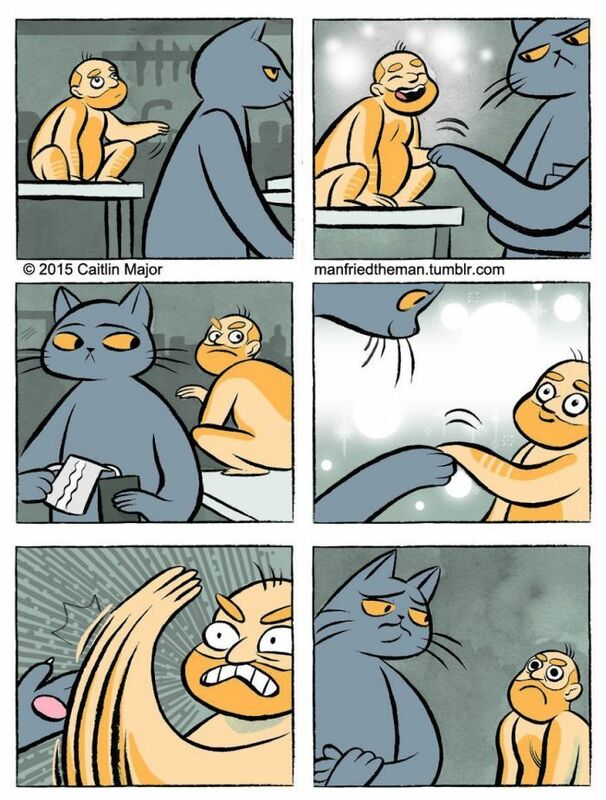 Cat or human, doesn't matter. None of us know what we want. 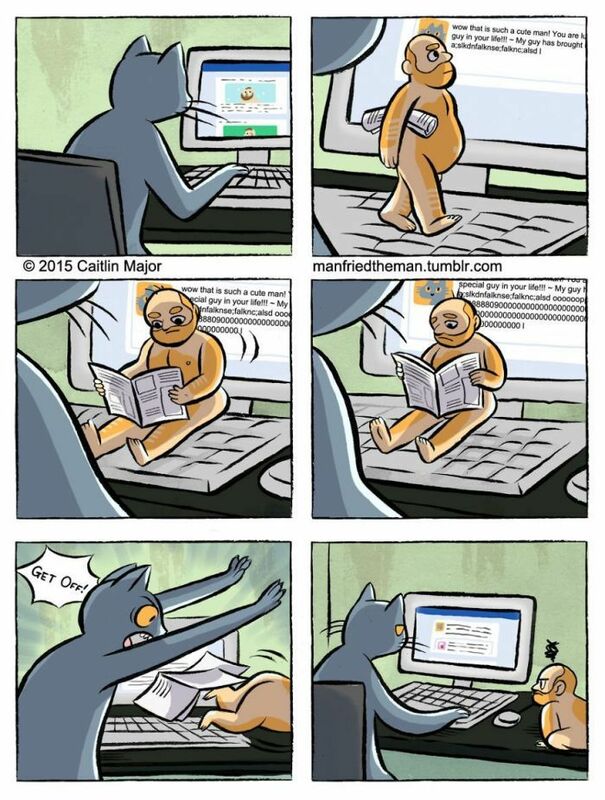 Well, I don't imagine that human paws swatting would hurt as much as a grumpy kitty's paws might hurt. Is an adorable present for mom and dad. I'd pick meows over "hey you" all night any day of the week. 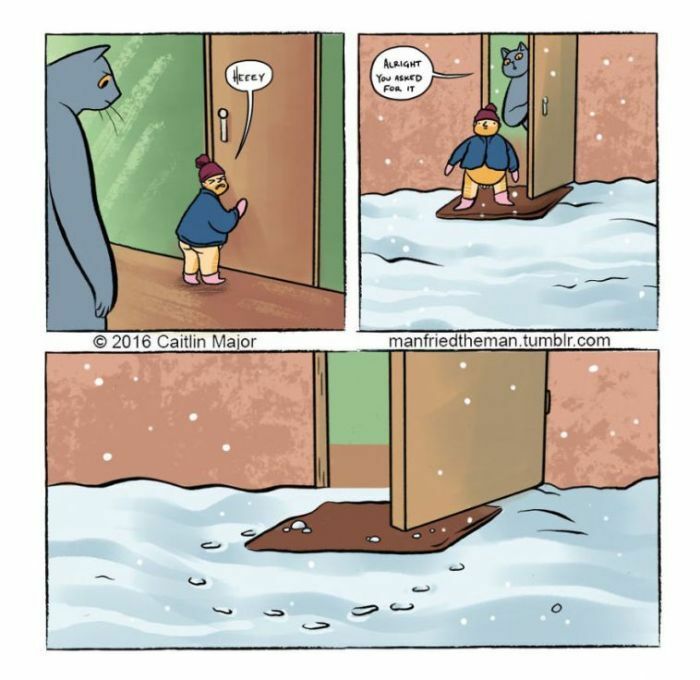 These comics perfectly summed up how cats behave. 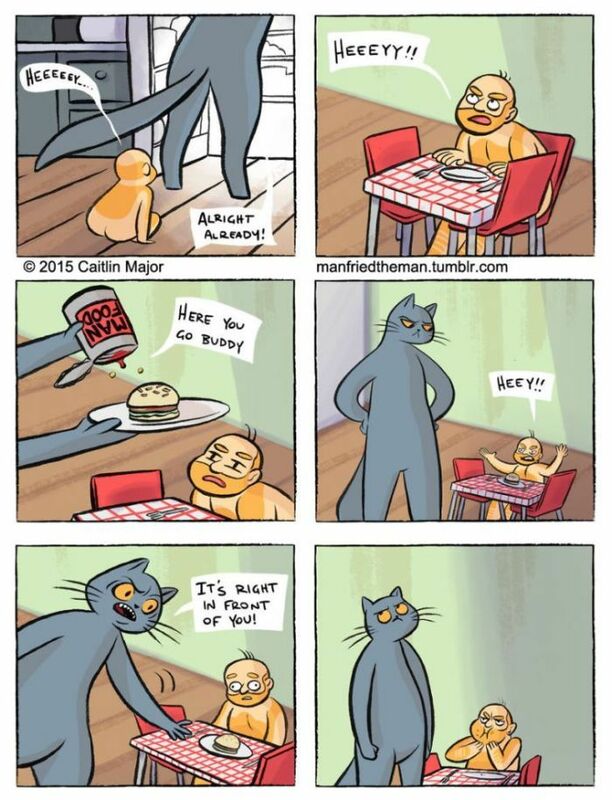 27-year-old artist Hannah Hillam is writing quirky comics out of San Fransisco about cats that are SO spot on. Take a look at them here.